Evie Wyld, among others, has been elected into the Royal Society of Literature’s Fellowship under the new 40 Felllows under 40 scheme, three quarters of which is comprised of women. The Fellows were honoured at the ceremony at the British Library in central London on Wednesday evening (27th June). The event was attended by HRH The Duchess of Cornwall in her first appearance as the Society’s new patron. 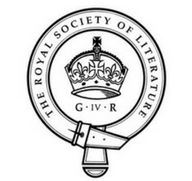 The RSL said it was “delighted by the diversity of writers elected and the diversity of literary forms their writing represents.” The new intake contains 73% female writers with 30% of the new fellows from BAME backgrounds, according to the society’s data. The intiative was launched last summer to honour Britain’s younger writers and introduce a new generation to the Society’s existing 500 strong Fellowship. The average age was previously 70, with only three under the age of 40. Congratulations to Evie and all those listed!